My favorite pair of shoes are probably my leopard print ones. They are the shoes in my closet that get worn the most - so much that I have gone through several pairs. 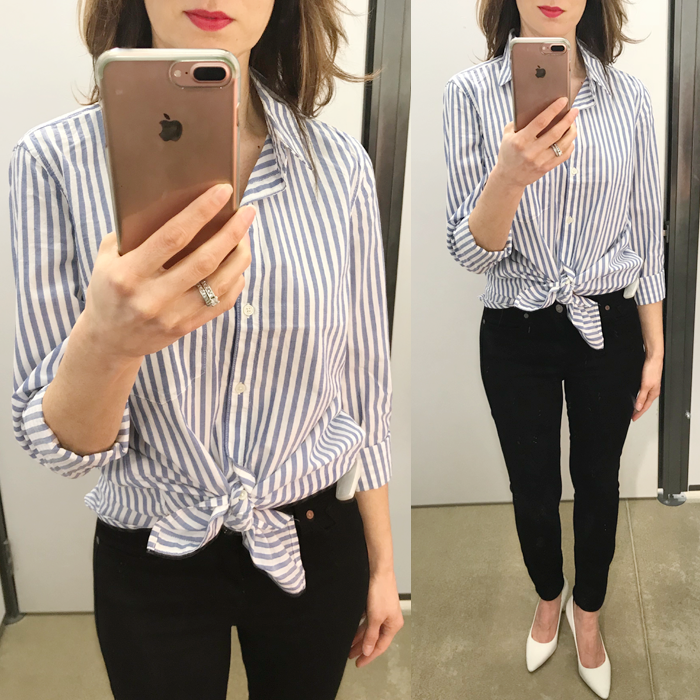 I wear them a lot because they can be styled so many different ways - with camel and stripes like this look, with pink, red and many other ways. 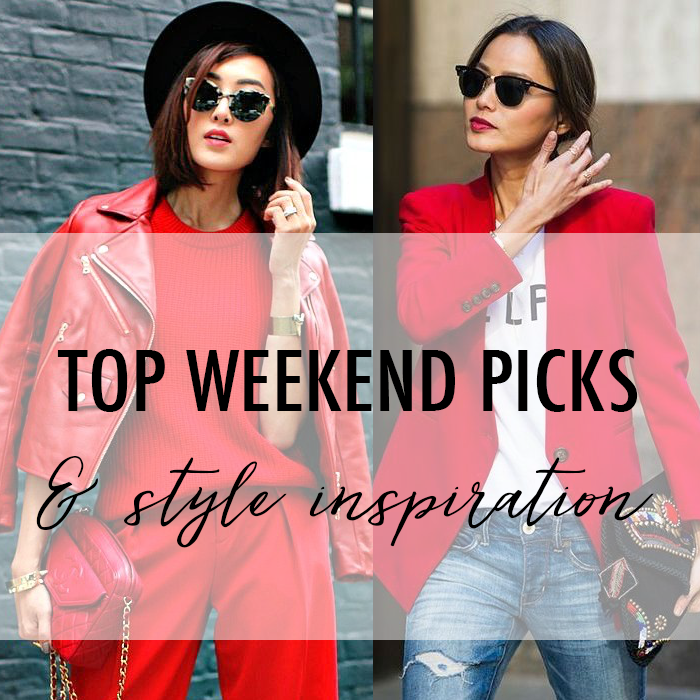 I have shared different outfit collages on how to style leopard shoes - like with a classic black and white look, and also one of my favorites - with red. Also, how cute are those leopard loafers - they are a new arrival that I have a feeling will not last that long. I am anxiously waiting on my new denim jacket to arrive, so I can re-create this look. I love this simple outfit! 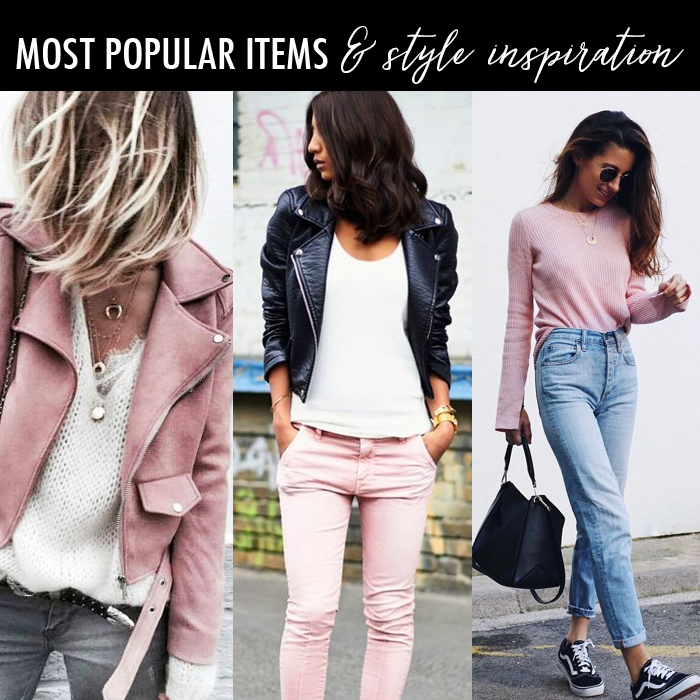 Most of these are staple pieces you could pull from your closet to re-create the look. And, if you do not wear heeled boots (or pumps) you could easily swap out the boots for these cute leopard sneakers that I found. 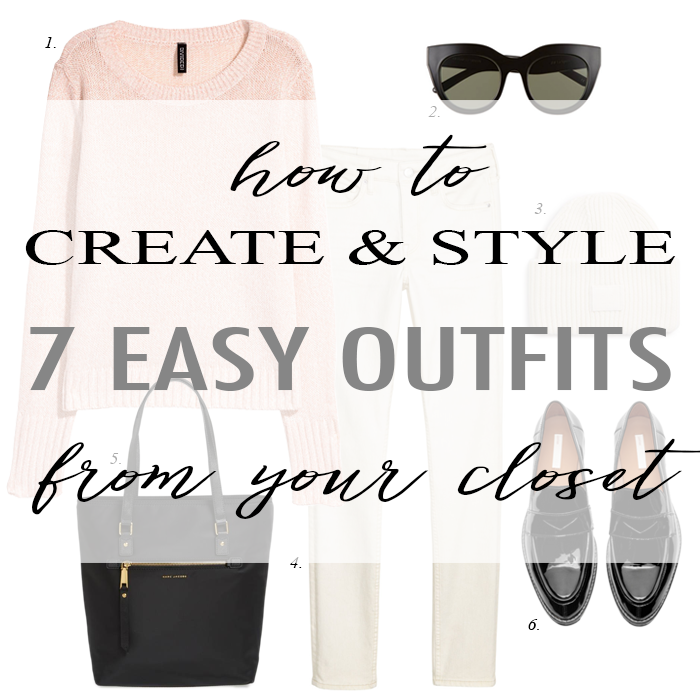 And, if you are looking for stylish looks you can create from your closet - I recently shared 7 outfit ideas here. It is supposed to be almost 70 degrees this week where I live, which is totally not the norm in February. Temperatures are supposed to be in the 30s typically. 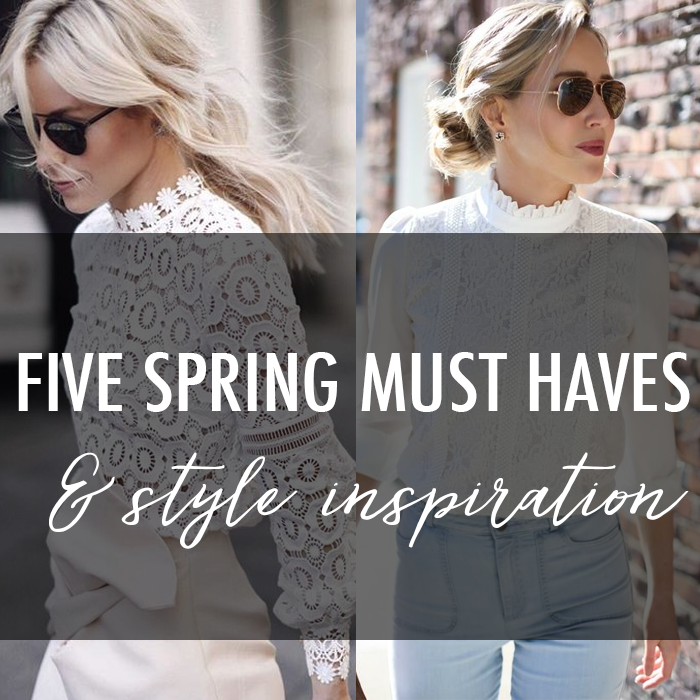 The warmer weather (and anticipation of spring) was the inspiration for today's look. How cute are those two-in-one suede loafers that have a collapsible back so you can wear them as slides - and they are only $35! This is President's Day weekend - and big sales are on. Here are just a few of my picks and finds. This lounging cardigan is 50% off - and has to be the softest sweater! I love my workout leggings - and these burgundy ones are 40% off (also in black). These really cute suede slide/sandals are only $36! This cute draped suede jacket is 50% off. 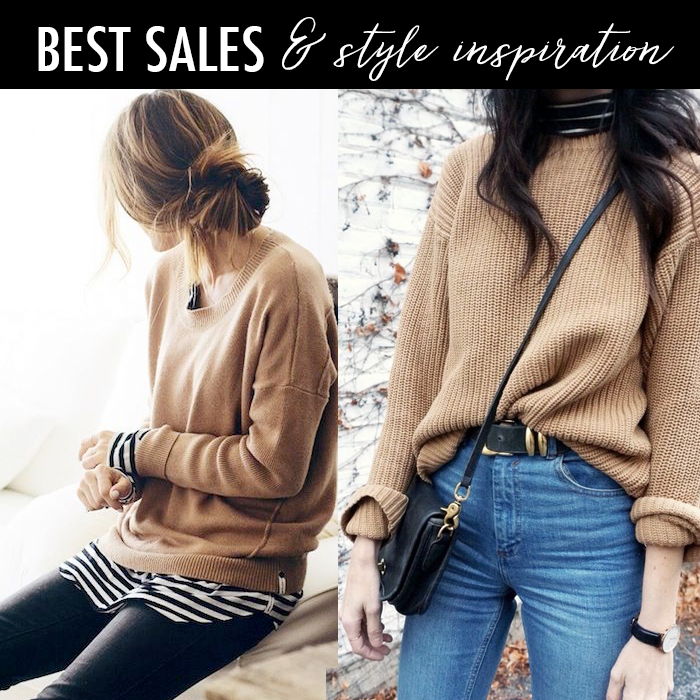 This fun bell sleeved striped sweater is 40% off. 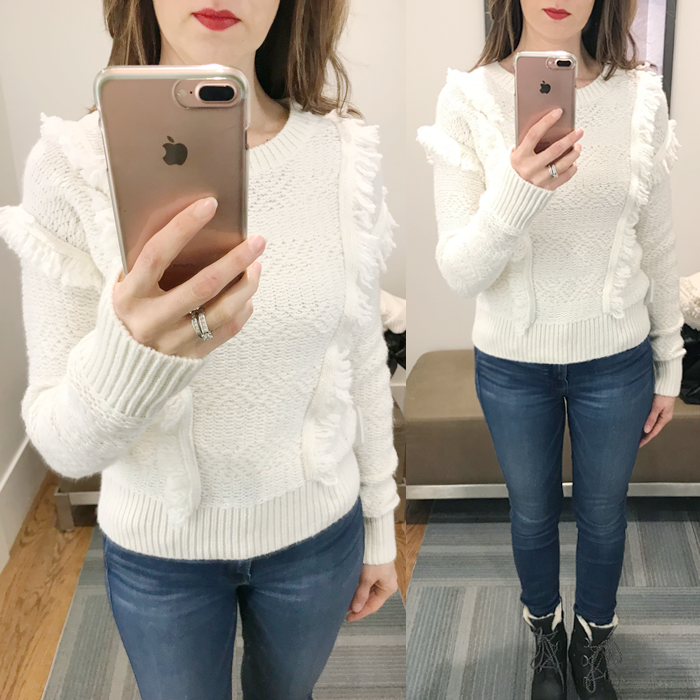 This sweater is 40% off - and I just bought it. This cute ruffled bikini is only $20 (and free shipping). This trench coat for spring is on sale for under $50. 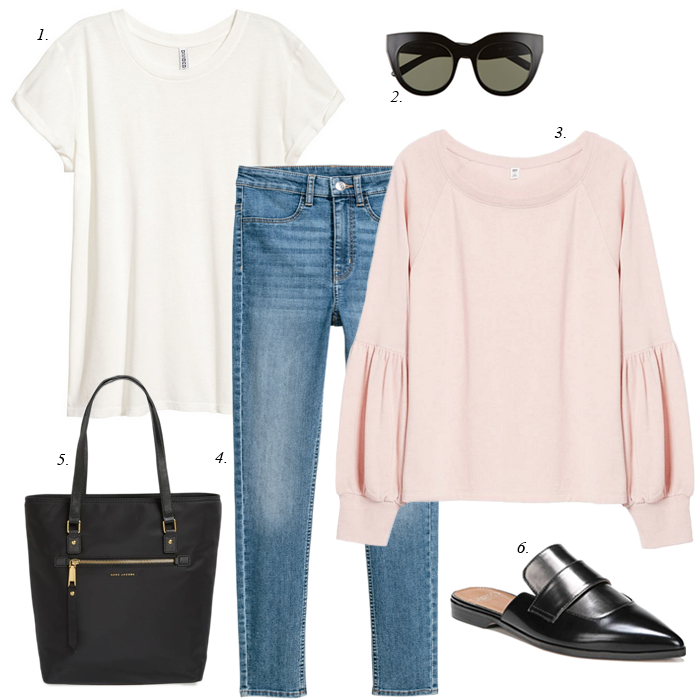 I love a simple crewneck sweater for spring - like this one. 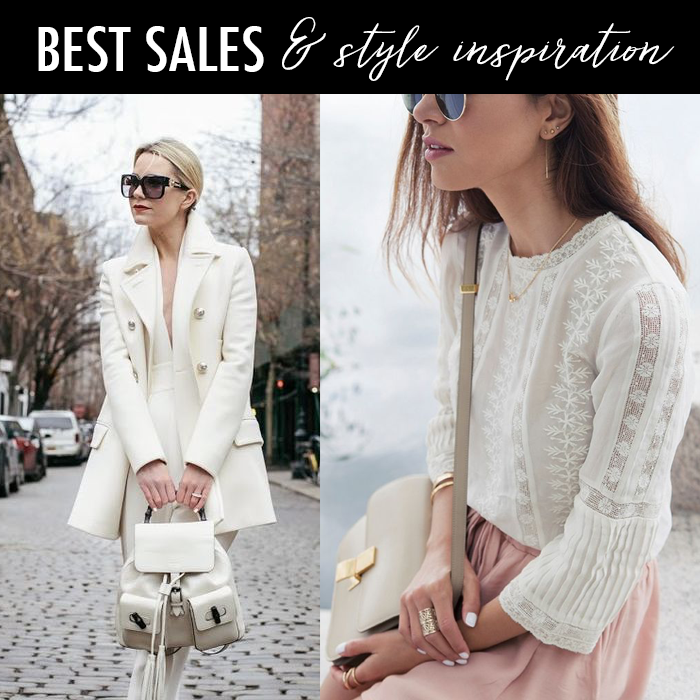 The perfect cardigan for spring - and it’s 30% off. 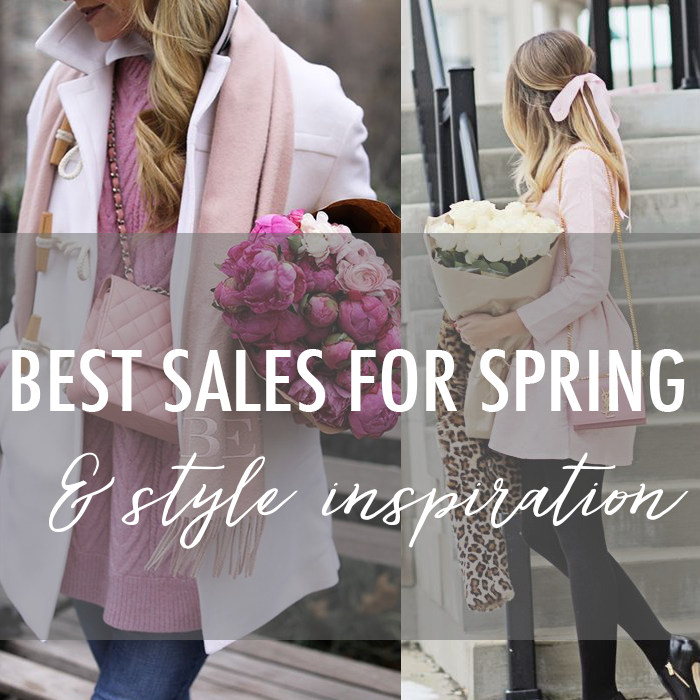 I shared more sale finds yesterday here. Image Source: Left / Right // I am participating in the following link-ups. 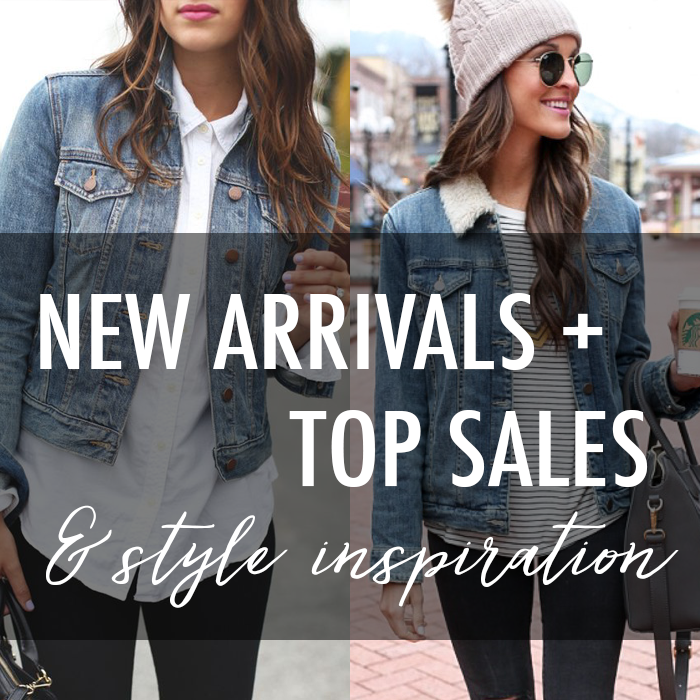 I've got a lot of picks, deals and new arrivals today. 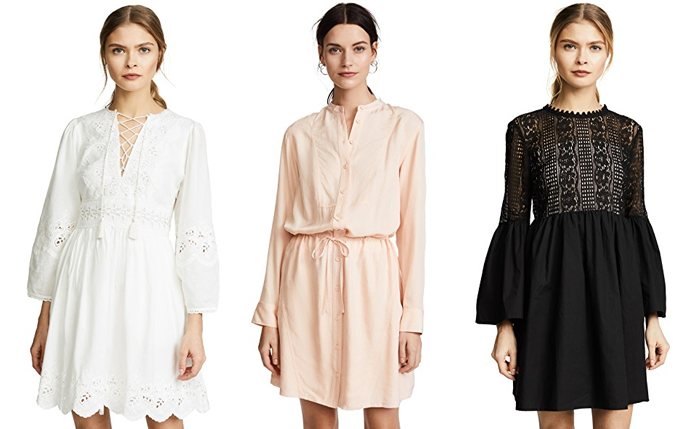 The weather is starting to get a little warmer - and the new spring arrivals are starting to show-up (finally) in the stores. 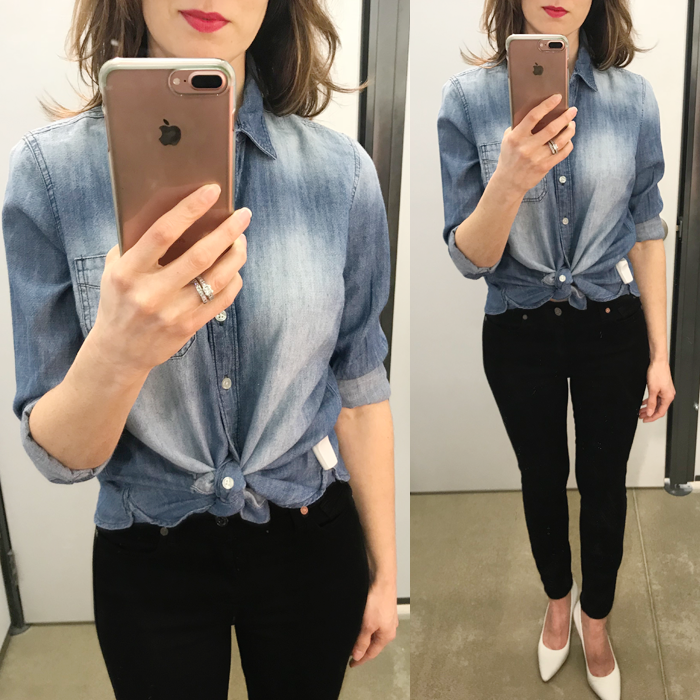 Also, earlier this week, I shared about how I got rid of my denim jacket - and after seeing the two looks above - I picked up this denim jacket for 40% off. This look has pretty much been my "go to" outfit this winter. It is both comfy and warm. And, I love my hiking boots, more than I ever thought I would. I wear them all the time. Plus, my sherpa jacket that I picked up for only $30 is the coziest jacket - and right now, it is an additional 40% off! Do you ever do a closet clean-out and get rid of things you regret later? I had a couple denim jackets that I did not wear that often, so I decided to give them away. Now, I am wondering why I got rid of them - because denim jackets are classic, staple wardrobe piece. 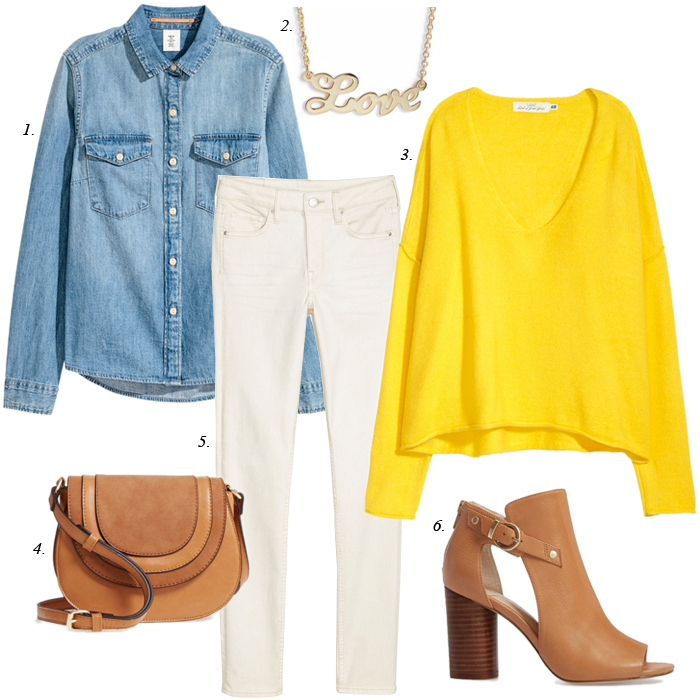 I am finding several ways I would like to style a denim jacket - like this look with a $25 red chunky sweater. Hope you are having a great weekend so far. So, my husband and I are looking for a new light for our dining room area. I found the perfect one - and my husband even liked it - but then we realized it might be too big for the space. Then, we found another one that we thought would work - bought it - installed it - and realized it looks like a disco party in our room. It casts shadows all over the room. And, the worst part is it took us so long to install it and hang every individual dangling crystal (there had to be like 50 of them)... and now, we are back to looking for a light again. Maybe one day we will have a light. We are trying to find something to work with this table (which I love and is a great price, by the way! ), this rug, and these chairs. Any suggestions of lights - they'd be much appreciated. 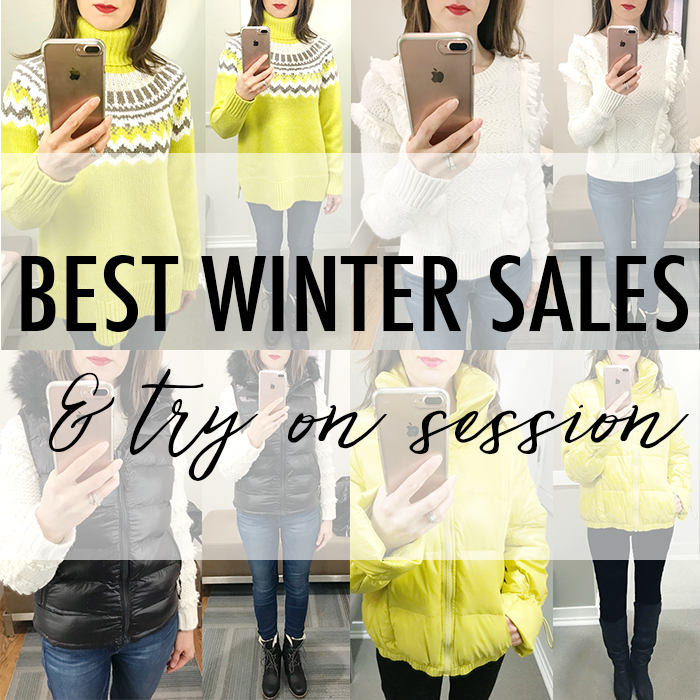 Just case you missed it - yesterday, I shared 7 different outfit ideas - one week's worth of styling - from casual to date night out. Be sure to check it out! If you are like me - sometimes you just need a little help with figuring out what to wear. 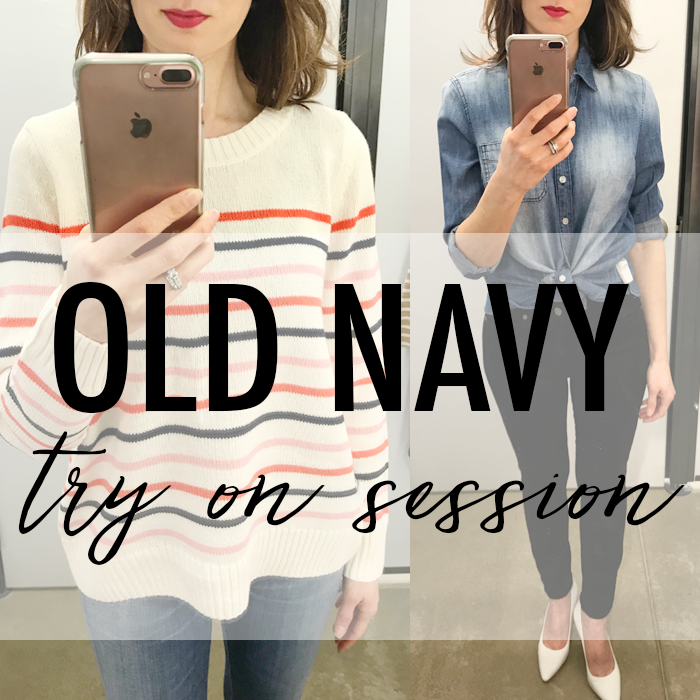 I love this stylish yet comfortable look, which would be perfect for the SAHM (stay-at-home mom), the working mom-on-the-go, or really anyone that likes to look stylish, yet be comfortable. (And, would make a comfy travel outfit, too!) I have put together a 7 day collection - and this is a preview of one of the days. 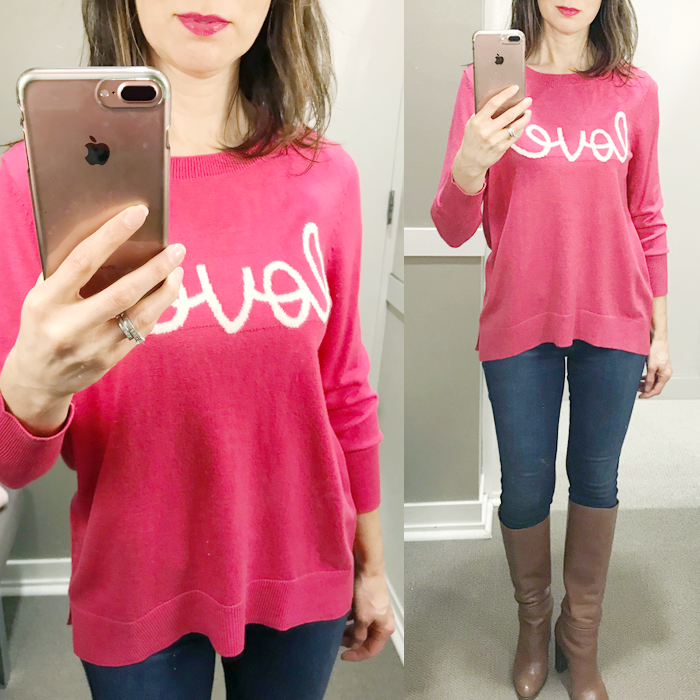 The other looks are both a little dressy - perfect for "Galentine's Day" out with your girlfriends or a date night with your husband/boyfriend, and casual - great for running errands or travel, but still looking put together. 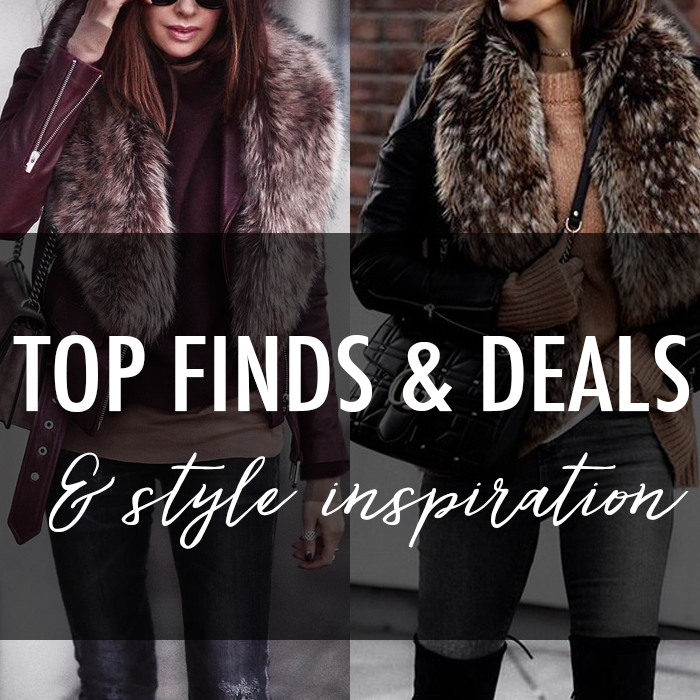 I love the look of layering a faux fur scarf (or stole) over a moto jacket. With the cold winters, it ads an extra layer of warmth - and with our sub zero temps lately and brutal wind - it is necessary. I have so much to do today - and I am so thankful it is Friday. So, this is how life goes… A few days ago, I shared how excited I was that my clothing line was moving along and everything seemed to be FINALLY happening. Well, I found out from my garment maker yesterday that they are no longer going to help me with any more of my designs. They are finishing-up the one they are working on, and then not going to assist with the others, even though they have all my materials for them. So, I am in search of a new place to work with. Sometimes things happen for the best - and I am believing there is something better. Lastly, be sure to check out that yellow sweater that is only $25! It also comes in other colors.